Take advantage of the limited time special offers available at Brannon Honda! Our Magic City dealership provides drivers with opportunities to save on a new Honda or reliable service. Whether you are in the Birmingham metro or traveling from Pelham, Alabaster, or Fultondale, AL – we can’t wait to assist you. Visit our dealership today to get amazing deals on a sporty new Honda, service, and parts! If you it’s time for a new or used Honda vehicle, our dealership should be your first destination! Brannon Honda is here to get you into the vehicle you need at a budget you can afford. You can view our latest Honda specials above. We have a number of brand-new vehicles listed at incredible prices. Is a used vehicle more in your price range or needs? No need to worry. Brannon Honda offers Used Specials as well. This way, you can obtain used vehicle for less – without having to question its quality or condition. Our dealership guarantees and thoroughly inspects all our used vehicles. Check out our Vehicles Under $10K, and discover our great vehicle selection for an even lower price. Our team wants to help you get into a vehicle that you can trust at a price that makes sense for you. Is it time for an oil change or brake service? Save money by scheduling your service at Brannon Honda today! We offer deals the auto maintenance and repair jobs you need on top of our already competitive pricing. Brannon Honda staffs the top mechanics who are ready to get you back on the road quickly and efficiently. At our Service Center, you can receive exceptional service for less. Take a look at our service specials to see what service and repair deals are currently available. Do you need parts as part of your repair or upgrade? Find genuine parts and accessories at great prices at our Birmingham dealership too! We have a wide variety of parts and we can order what you need as well. 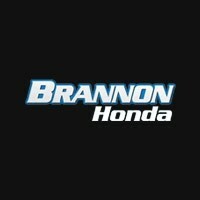 Save money by making your parts selections from Brannon Honda, today.